This listing is for 42 pcs. Medium sea green glass pearl beads*. 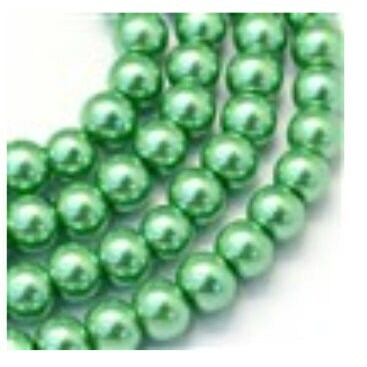 This is a unique color, medium sea green glass pearl beads, round, dyed, pearlescent glass beads have medium sea green colored coatings and are heated for a durable finish.